In 1989, Margaret Thatcher completed a tenth year as Prime Minister, Nick Faldo won the Masters, Nigel Mansell won the Brazilian Grand Prix, house prices fell in the south east, Dr Who was discontinued and Jason Donovan had one of the biggest hits of the year. 1989 was also the year that Nigel Chapman opened the doors of the very first Luxury Family Hotel. Travelling with his own young family, Nigel visited Ballymaloe in County Cork. The experience was exceptional and demonstrated how relaxing a family break could be without any compromise on food, style or experience. Trying to replicate this amazing experience of family-focused hospitality in England, there simply was not a comparative offering at that time. With a notion that there was a gap in the hotel sector, Nigel gave up his London-based accountancy job and plunged his life savings into creating the hotel experience he was looking for – and felt sure others must be too. 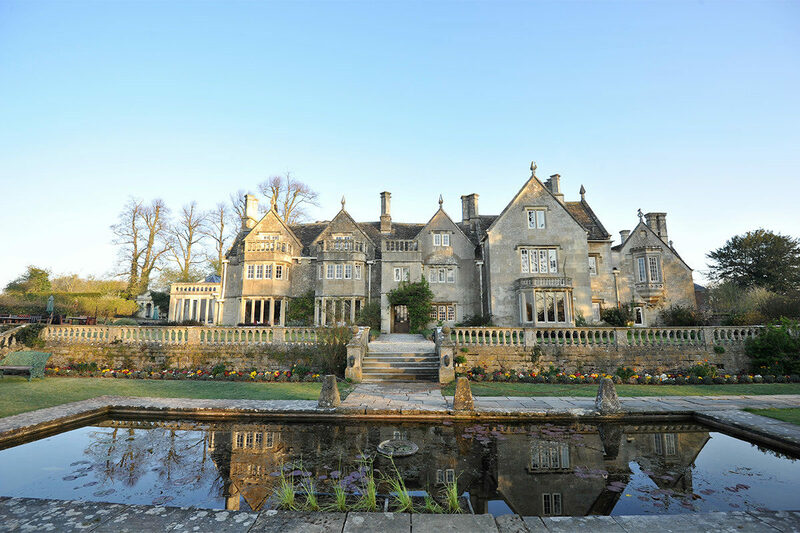 The result was Woolley Grange; a beautiful Jacobean Manor house nestled in 14 acres of Wiltshire countryside just outside Bath on the edge of Bradford-On-Avon - and importantly a manageable drive from London on a Friday night. Woolley Grange opened in May 1989, and over the years more than 200,000 families have stayed here. The interior styling was an important part of creating the relaxing home-from-home ambience. The house was filled with eclectic artwork, squishy leather sofas and comfy armchairs that reminded guests of home. Bedrooms in the main house, Stone Cottage and Hayloft were designed to accommodate cots and extra beds. The 14 acres of grounds created space to have fun, kick a ball, play hide and seek, explore and run free. In the early days the ethos was simply to give parents the sort of luxury break they enjoyed before having children, but with their children welcome too. After a hard week you could drive down from London and arrive at a place where children were in their PJ’s and parents were relaxing with a G&T and you could breathe a sigh of relief – here were people like you. This ethos has altered very little over the years, with families and relaxation still at the core of a Luxury Family stay. As the offering developed, so did the experience, with the inclusion of Ofsted-registered “Dens” providing two hours of complimentary childcare, while baby listening services, outdoor play areas, children’s meal times and activity programs for older children created a child-centric experience that other hotels have still not fully replicated. Luxury Family Hotels welcome children in every part of the hotel; there's still no hushing of toddler chatter in the drawing room. Of course, over the years the hotels have changed as family life has changed. Now there are family friendly spas, dual dining options for easy family dining and candlelit dinners for two, as well as Sunday morning breakfast clubs that facilitate a parental lie-in. Family dynamics have changed too, and we see lots of grandparents on mini-breaks with their grandchildren and mums or dads enjoying solo midweek retreats just with the children. Many of the first children who stayed at Woolley Grange are now returning with their own little ones to recreate happy childhood memories. Today, they'll find a kitchen garden to pick produce in, chickens to collect eggs from and a spa to relax in but the familiarity of the big oak front door and the bowing cedar tree will take them right back to their own first holidays. Life moves on and we move with the times, but our core ethos will always be true to the vision that Nigel Chapman had in 1989: family breaks with no compromise for anyone, just a really good time for everyone. Look out for Woolley Grange celebration offers, competitions and events throughout the year. The Luxury Family Hotels portfolio core properties continue to offer the magic formula for families.